The lock lock I’m making up here is a from a set of castings from Jim Kibler in the US, I think he charged $125 for the kit which has all the cast parts but no screws – good value for a nice kit. I built up the lock without any particular destination in mind, but later I made a pistol in the style of a sea service pistol and fitted the lock to that – see INERT PISTOL post . 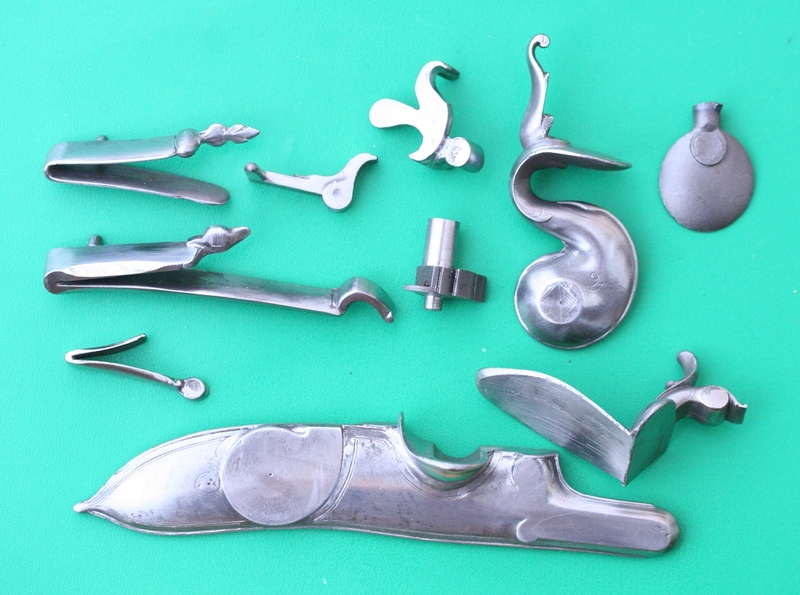 Here is the kit – I have cleaned up most parts and turned the tumbler down – only the top jaw is untouched.